To date, there is little empirical evidence as to which indicator best represents drought impact occurrence for any given region and/or sector. We therefore exploited text-based data from the European Drought Impact report Inventory (EDII) to evaluate drought indicators, empirically determine indicator thresholds, and model drought impacts. A quantitative analysis using Germany and the UK as a testbed proved to be a useful tool for objectively appraising drought indicators. This paper compares six methods for data-driven rainfall–runoff simulation in terms of predictive accuracy, error structure, interpretability, and uncertainty. We demonstrate that autocorrelation in model errors can result in biased estimates of important values and show how certain model structures can be more easily interpreted to yield insights on physical watershed function. Finally, we explore how model structure can impact uncertainty in climate change sensitivity estimates. This article summarizes the theory and demonstrates the technique of a new scaling method known as the Lie scaling. In the course of applying the method to two example problems, classical notions of dynamical and kinematic scaling are incorporated. 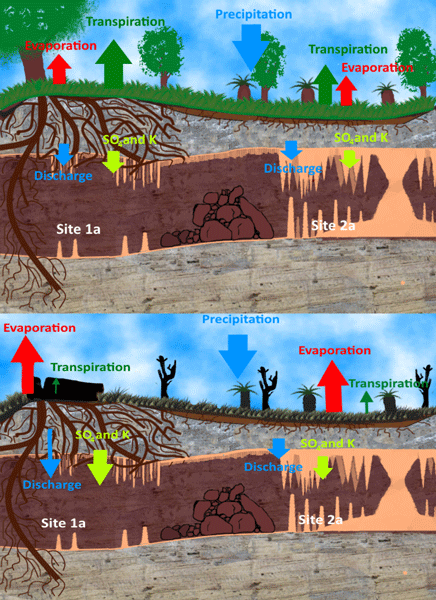 The two example problems are a 2-D unconfined groundwater problem in a heterogeneous soil and a 1-D contaminant transport problem. The article concludes with comments on the relative strengths and weaknesses of Lie scaling and classical scaling. Laos and Vietnam have switched from net forest loss to net forest expansion between 1990 and 2015. Based on long-term field measurements of land use, river flows, and weather data, we demonstrate that forest expansion can have extreme, yet opposite, impacts on water resources, depending on how the newly established tree-based cover is managed. The conversion of annual crops to teak plantations in Laos or to naturally regrowing forests in Vietnam led to increased and decreased flows, respectively. Soil moisture memory is a key aspect of seasonal climate predictions, through feedback between the land surface and the atmosphere. Estimates have been made of the length of soil moisture memory; however, we show here how estimates of memory show large variation with uncertain model parameters. Explicit representation of model uncertainty may then improve the realism of simulations and seasonal climate forecasts. Our current understanding of wildfires on Earth is filled with knowledge gaps. One reason for this is our poor record of fire in natural archives. We open the possibility for speleothems to be "a missing piece to the fire-puzzle". We find by effecting surface evaporation and transpiration rates, wildfires can have a multi-year impact on speleothem, forming dripwater hydrology and chemistry. We open a new avenue for speleothems as potential palaeo-fire archives. Development of unconventional energy resources if often associated with public concerns regarding potential contamination of shallow groundwater due to methane leakage. We combined chemical and isotopic analyses of gas and water samples obtained from shallow aquifers in Alberta (Canada) to assess baseline methane sources and found that > 67 % of the samples contained biogenic methane formed in situ in the aquifers. 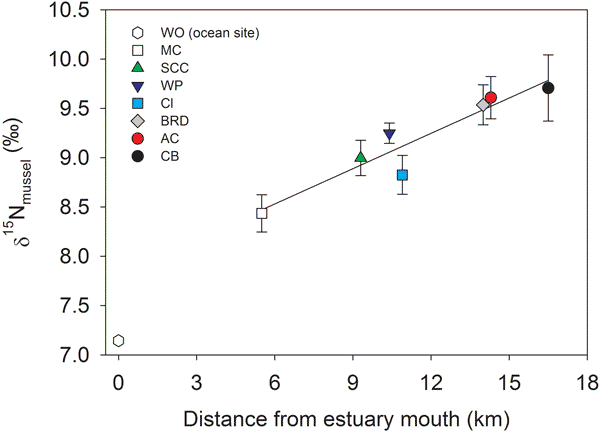 There was no evidence of deep thermogenic methane migration into shallow aquifers. This paper presents an important framework to improve hydrologic projections in cold regions. Hydrologic modelling/projections are often based on model calibration to long-term data. Here we used dry and wet years as a proxy to quantify uncertainty in projecting hydrologic extremes. We showed that projections based on long-term data could underestimate runoff by up to 35% in boreal regions. We believe the hydrologic modelling community will benefit from new insights derived from this study. Water is one of the most valuable resources and has an undeniable influence on every aspect of life. Being a very good indicator of the water cycle, the soil water content can be monitored by satellites from space. The region studied here is located in Benin, West Africa, where people have to face major water-related risks every year during the monsoon season. By adjusting the model simulations with satellite observations, river discharge and water table levels have greatly been improved. Since 1950, the Niger River basin has overcome drastic changes. In Niamey city, the highest river levels and the longest flooded period ever recorded occurred in 2003, 2010, 2012 and 2013, with heavy casualties and property damage. The reasons for these changes, and the relative role of climate versus Land Use Land Cover changes are still debated and are investigated in this paper using observations and modelling. We conclude on the successive role of cover and then rainfall variability. A parameter sensitivity analysis was applied to a monthly water balance model across the United States and used to identify regions of similar model response. Streamgages within each region were calibrated as a group to produce model parameters that can simulate streamflow in areas where measured streamflow data are limited or unavailable. Results showed good correspondence with measured values, except in areas where dominant hydrologic processes occurred at submonthly timescales. The assessment of water balance components of the global land surface by means of hydrological models is affected by large uncertainties, in particular related to meteorological forcing. We analyze the effect of five state-of-the-art forcings on water balance components at different spatial and temporal scales modeled with WaterGAP. Furthermore, the dominant effect (precipitation/human alteration) for long-term changes in river discharge is assessed. Ten years of direct observations of an englacial conduit in a cold based glacier in Svalbard document for the first time how a vertical meltwater waterfall (moulin) is formed from gradual incision of a meltwater channel. This evolution appears to be dominated by knickpoints that incise upstream at rates several times faster than the vertical incision in adjacent near horizontal channel sections. Scientific writing must improve and the key to long-term improvement of scientific writing lies with the early-career scientist (ECS). We introduce the ClimateSnack project, which aims to motivate ECSs to start writing groups around the world to improve their skills together. Writing groups offer many benefits but can be a challenge to keep going. Several ClimateSnack writing groups formed, and this paper examines why some of the groups flourished and others dissolved. This study focuses on the investigation of baseflow mean transit times (MTTs) in a high-elevation tropical ecosystem (páramo) using stable water isotopes. Results showed short MTTs (< 9 months) and topographic controls on their spatial variability. We conclude that (1) the hydrology of the ecosystem is dominated by shallow subsurface flow and (2) the interplay between the high storage capacity of the páramo soils and the catchments' slopes provides the ecosystem with high regulation capacity. We hypothesized that land use had important effects on hydraulic threshold conditions for gully head cut initiation. We investigated the effects using an experimental plot. The results indicated that the use of a threshold value of τcr = 35 dyne cm−2 and ωu = 0.4 Cm S−1 in physically based soil erosion models is susceptible to high uncertainty when assessing gully erosion. We modelled hydrological changes under climate change in the Mekong River, focusing on extreme events. The scenario ensemble shows an intensification of the hydrological cycle under climate change. Annual river flow increases between 5 and 16 % depending on locations. Extreme high flows increase substantially in both magnitude and frequency, posing threats to flood safety in the basin. Extreme low-flow events are projected to reduce as a result of increased river flow during the dry season. Tritium-estimated groundwater mean transit times (MTTs) and storage volumes provide useful information for water resources management especially during droughts. In Hokkaido, we find that (1) one tritium measurement at baseflow is already sufficient to estimate MTT for some catchments, (2) the hydrogeological settings control tritium transit times of subsurface groundwater storage at baseflow, and (3) in future, one tritium measurement will be sufficient to estimate MTT in most Japanese catchments.